GroundUp research is guided by local co-researchers and senior knowledge authorities who design and conduct project research in the communities where we work. The Indigenous Researchers’ Initiative (IRI) helps to make visible the work of these Indigenous researchers and service providers. 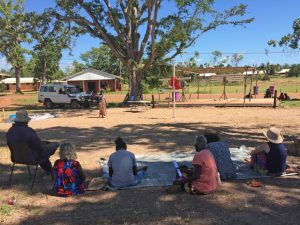 IRI facilitates connections between Indigenous researchers and prospective funders, and supports better and more efficiently negotiated products and services in Northern Australia.